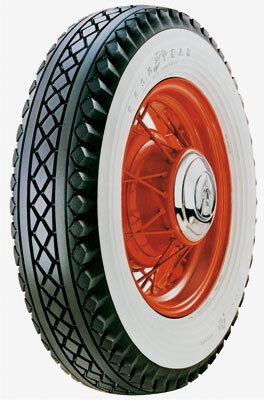 A pre-World War II restoration just isn’t complete without these Goodyear tires. As much an industry standard of quality then as they are today. This unique Goodyear diamond tread pattern continues to represent the discerning collectors tire of choice for total authenticity. Construction:4 ply polyester tube type. Maximum load capacity: 1,400 pounds @ 32 PSI.